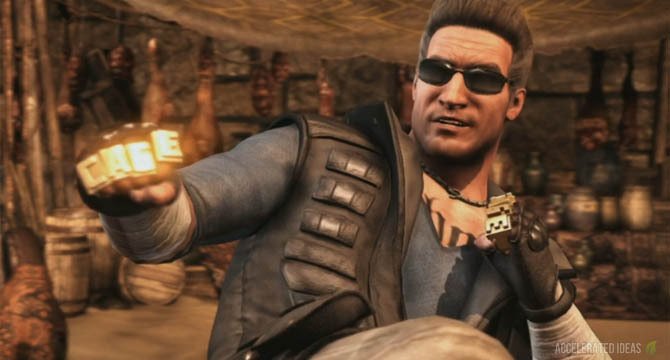 Johnny Cage is classic Mortal Kombat character who makes his 16th appearance in MKX. He's slightly older now with an ex-wife and daughter in his life but Johnny still has the same smug attitude that makes him one of the series best loved fighters. 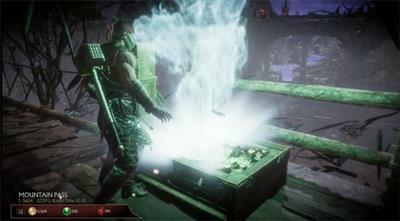 His core moves haven't changed drastically but his three variations come with some interesting surprises in Mortal Kombat 10. Johnny is one of the leading characters in the games story and in fact he's the first playable character in Chapter 1 of story mode. Of his core moves, Johnny still has the trademark fireballs and close range nut punch in addition to several slick combo's. Digging into the variations and the fun really begins for JC. In the first variation called Fisticuffs you gain a "chip damage" perk move which guarantees damage with any of your attacks even if the opponent blocks. Also in this variation you gain an interesting perk which becomes active only when you're close to death. Essentially, when your health meter is dangerously low Johnny gains bonus damage on all of his attacks giving you the chance to turn the tide of the fight. The telltale sign that the perk is active is a red glow from all of your special moves rather than a green glow. His two other variations are also similarly interesting. The Stunt Double variation gives you the opportunity to create a clone of yourself for some really awesome combo attacks and guaranteed safety. The A-List variation gains supercharged moves from the core character with the caveat of high risk vulnerability. 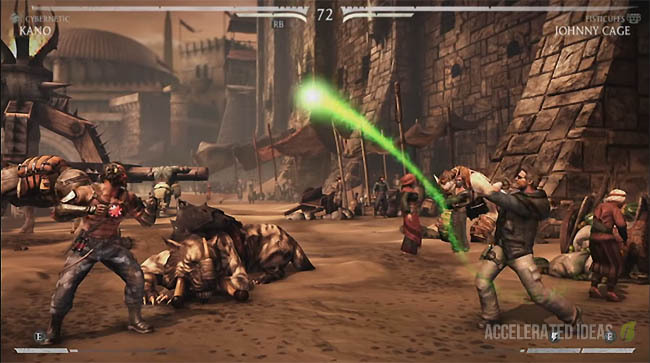 The classic glowing green fireball can be aimed high or low. The EX version will shoot two fireballs. The classic sliding high kick to the face. The EX version will increase the length of the kick to full screen. Johnny somersaults on the spot, kicking the opponent if they're too close. This move is not available in the Stunt Double variation. Gains a bonus damage perk when low on health in addition to new attacks. This class is particularly useful when you want to get up close to a defensive opponent, especially one who constantly blocks attacks. Johnny bashes his hands together to activate the chip damage perk. Once activated, even if the opponent blocks a move they'll still suffer damage. Gain the ability to create an exact copy of Johnny for launching attacks. Loses the flip-kick attack and the fireball attack is now a straight version rather than an arc. This is a particularly flashy class for showing off some amazing combos using the mimic move. Creates a clone of Johnny that performs attacks on your behalf. The body double can engage in attacks with no sacrifice should they miss the opponent or block it - basically you're completely safe from counterattacks. This body double can also be used to create flashy combos where the real character dips in and out of the combo. In this variation you can supercharge special moves and normal attacks for more damage. It takes slightly longer to supercharge an attack which leaves Johnny more vulnerable to attack. This class is more suitable to expert players who can master the timing aspect for charging up special moves without sacrificing their own defence. There are no unique moves in this variation. Just hold down the final button of the special move for longer to charge an attack.